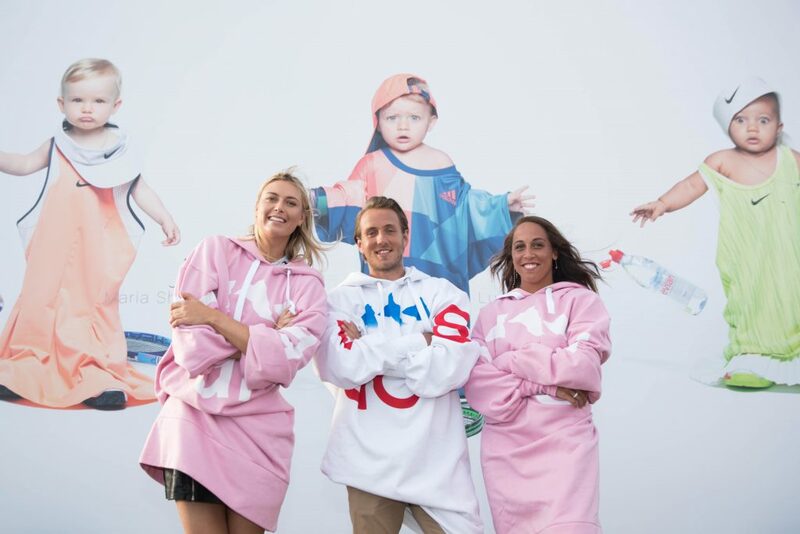 The Evian Live young Team in Paris. Maria Sharapova Lucas Pouille and Madison Keys. All over the world, Evian diffuses a spirit of youthfulness and Lucas, with his fresh approach and creativity embodies these values.